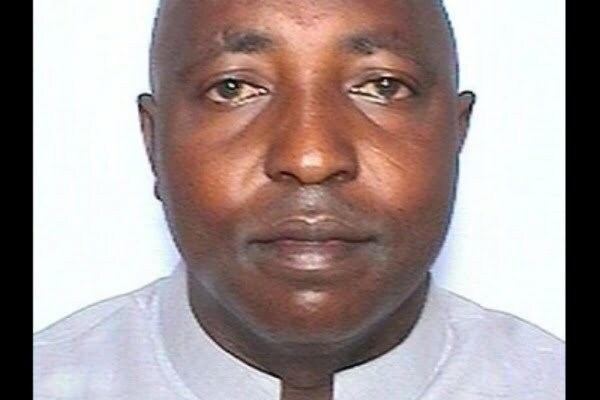 A member of House Of Representatives in Niger State, Hon Abubakar Chika Adamu, has withdrawn from the 2019 reelection race. The reason he included in his resignation letter was due to the corrupt nature of politicians. The letter reads:“In line with the teachings of our Prophet Muhammad (SAW), that any person seeking to be appointed or elected into public office should be rejected, now that there is eroding public trust in legislators of the National Assembly, it is not worth the trouble to seek such office unless it is for my selfish and personal interest. 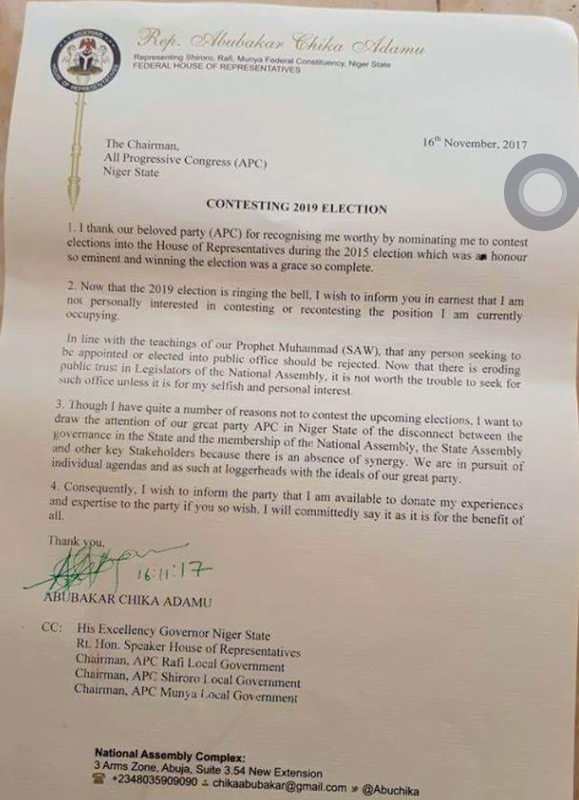 “Though I have quite a number of reasons not to contest the up and coming election, I want to draw the attention of our great party APC in Niger state to the disconnect between the governance (sic) in the state and the membership of the National Assembly, the state assembly and other key stakeholders because there is an absence of synergy,” he wrote. “We are in pursuit of individual agenda and as such at loggerheads with the ideals of the party.